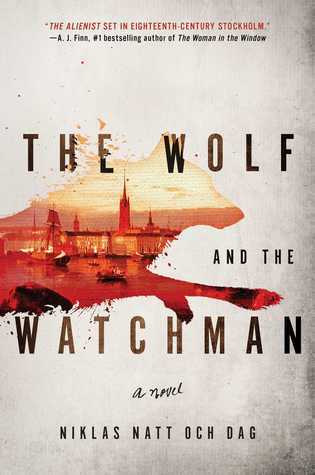 Breathtakingly bold and intricately constructed, THE WOLF AND THE WATCHMAN (Atria Books; March 5, 2019; ISBN: 9781501196775; $28.00) brings to life the crowded streets, gilded palaces, and dark corners of late-eighteenth-century Stockholm, offering a startling vision of the crimes we commit in the name of justice, and the sacrifices we make in order to survive. “An excellent story with corkscrew twists and a wonderfully clever ending, completely worthy of Cecil Winge’s splendid mind. 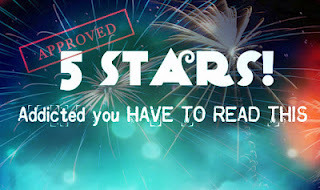 Winge and Cardell are thoroughly engaging characters, and they give the whole book a powerful heart"
This is a story so chock full of emotionally compelling goodness that one is never quite sure where to focus one's attention. Though this book is a work of fiction. It is quite clear that it functions also as a commentary on life and society in this region of Sweden, at this time. The suffering, the apathy, the injustice. A theme echoed through the losses of both leading men Winge and Cardell. Winge with the loss of his future due to consumption. Cardell with the loss of his arm and sanity to the war. This book is in part a mystery. However, the social drama is by far the most compelling aspects of the read. The sheer amounts of apathy to the plight of both death and suffering that pervades the social strata here. Nothing short of mind-boggling. Even in the face of what is clearly a most horrendous torture and murder. The supporting characters that the two meet in their efforts to find justice for the most unfortunate of souls. And the way that other stories cause the first to morph and grow. Gives readers a very eye-opening understanding of the dynamics of the often futile struggle between those with power. However minuscule the amount, and those they choose to exploit. Niklas Natt och Dag ("Night and Day") is a member of the oldest surviving noble family in Sweden. He enjoys playing the guitar, mandolin, violin, and the Japanese bamboo flute. THE WOLF AND THE WATCHMAN, his first novel, was named the Best Debut of 2017 by the Swedish Academy of Crime Writers and is being published in thirty countries. He lives in Stockholm, Sweden, with his wife and their two sons.